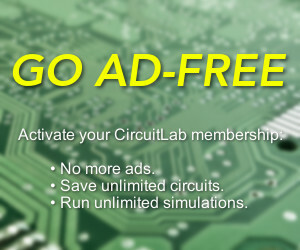 In the 15 weeks since we first launched CircuitLab, our users have saved more than 16,000+ circuits in our system. Stay tuned for a blog post about how we used 64 CPUs to re-render them all with our new rendering engine (including connection dots, plus publication-quality schematics). Greatly appreciate the recent improvements regarding sharing, printing, and the connection dots. You guys really listen to user input! I am really loving CircuitLab! Huge kudo's to everyone involved! I am just a hobbyist and learning this stuff and the forum/blog has been a big help! Are there any in-browser plans for a layout/pcb solution to go with CircuitLab? That would be awesome! Hi! how do I insert a "bridge" for intersect but do not connect?? I have the same question. 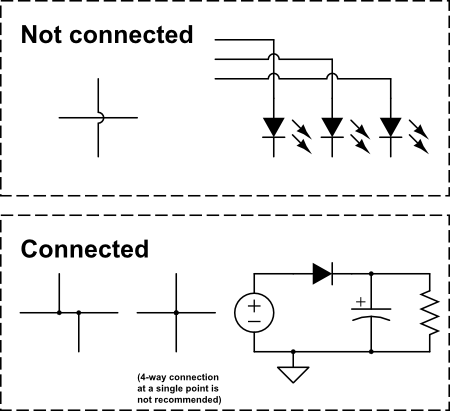 How do I insert a "bridge" where wires cross but do not connect?